That is experience you can count on! 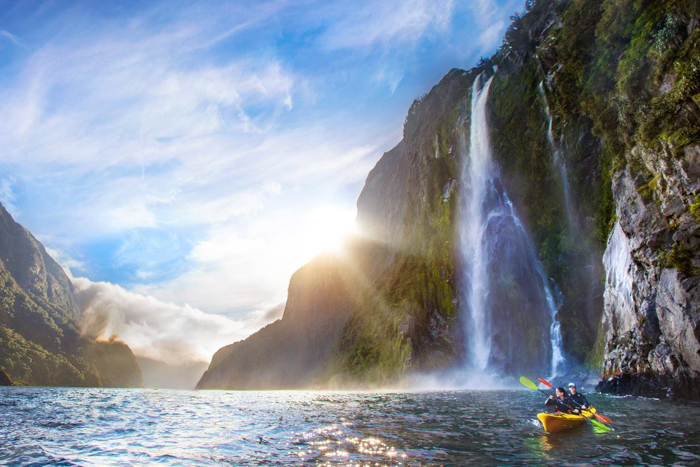 Welcome to New Zealand’s most spectacular Sea Kayaking destination – Milford Sound. 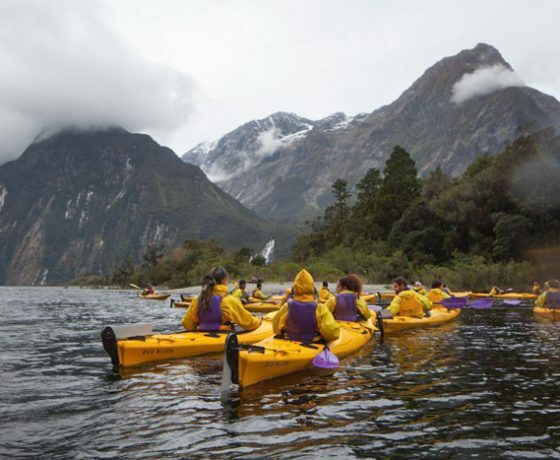 Escape the crowds and explore the grandeur of this area from a safe, stable sea kayak with your own personal guide, Regardless of whether you’re a first time paddler or an experienced kayaker, join one of our various professional guided expeditions at Rosco’s Milford Kayaks located right in the heart of Fiordland’s Milford Sound. 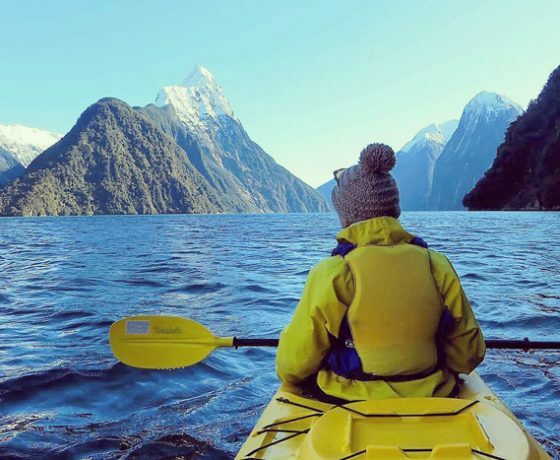 Navigate your kayak through shimmering Milford Sound water which looks the same today as it did a thousand years ago and enjoy one of the top Milford Sound Activities you can do today. 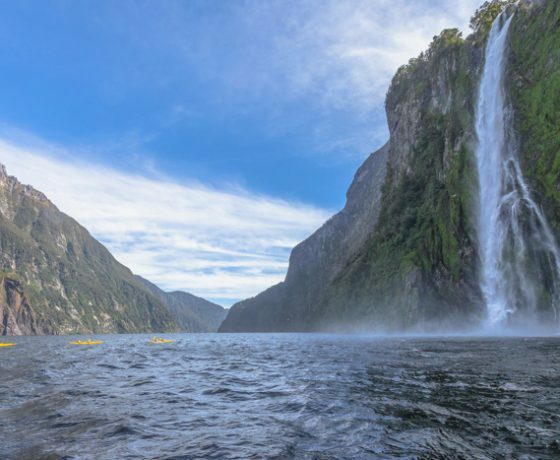 Waterfalls tumble from hundreds of metres above as you feel the spray kiss your face, marvel at the ancient rainforest clinging to the steep cliffs of the fiord alongside you parted by glorious waterfalls, and experience friendly New Zealand wildlife up close including Fur Seals, Fiordland Crested Penguins, famous Blue Penguins and even Bottlenose Dolphins. 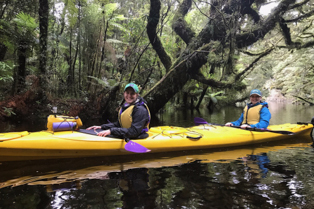 This kayaking adventure is amazing and will create memories that you will hold for a lifetime. 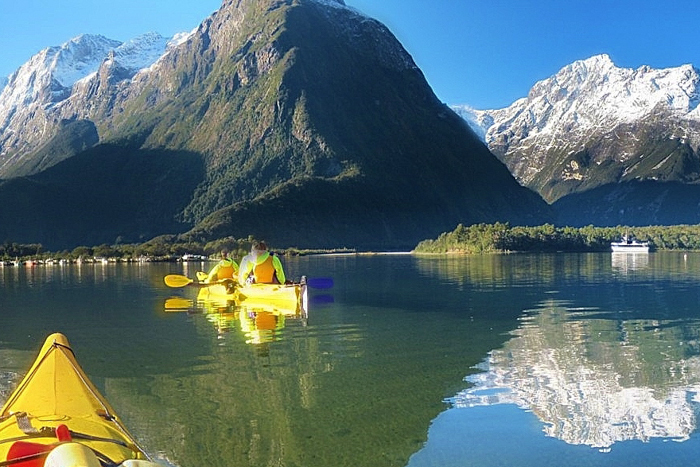 Rosco’s Milford Kayaks are the longest established owner operated sea kayaking business in New Zealand. 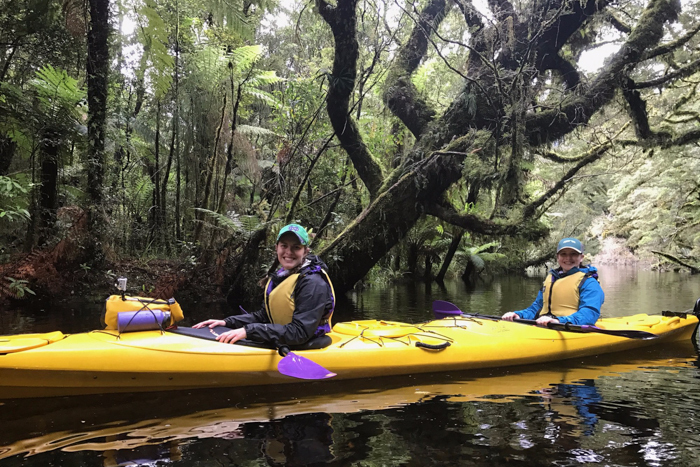 With over twenty years’ worth of experience to back them up, Rosco’s pride themselves on their eco-friendly tours and are the only company to run kayak trips to the outer Fiord (including Stirling Falls). 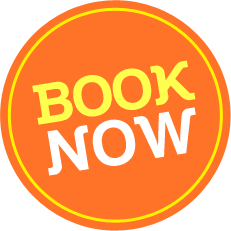 They offer a range of sea kayaking options to choose from, but book early to avoid disappointment. 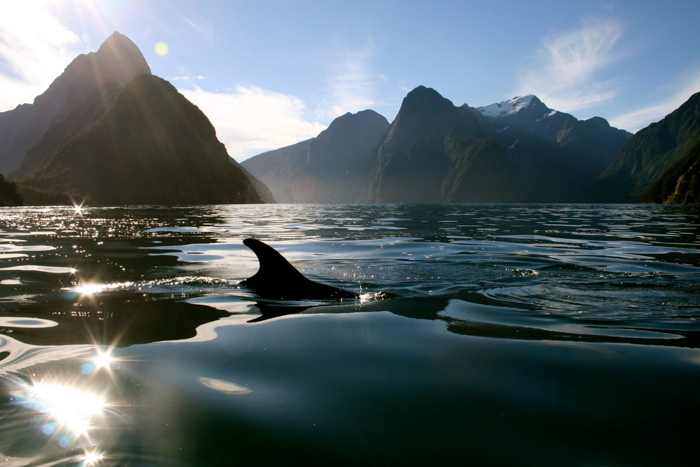 All trips depart from Milford Sound besides the Sunriser, which can include transfers from Te Anau. 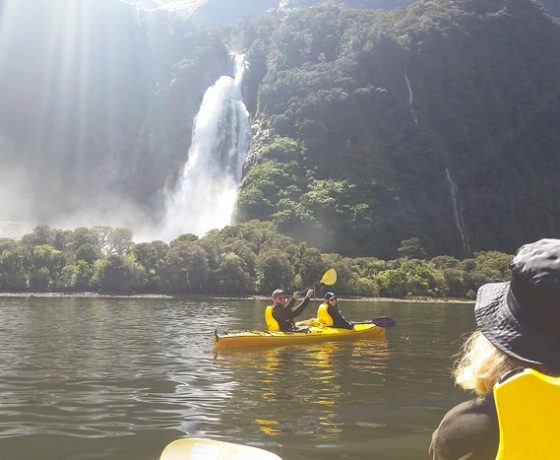 Milford Sound Kayaking tours are available all year round. 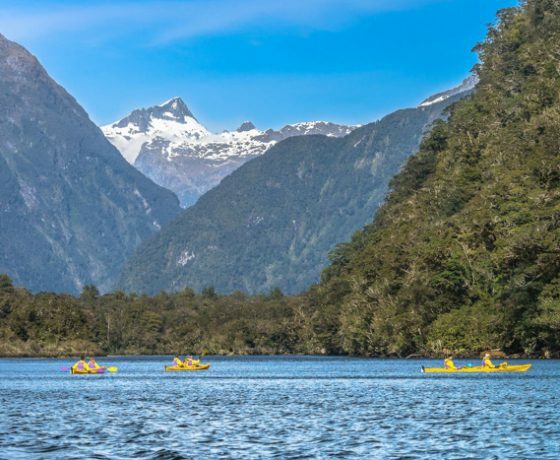 Pioneered by Rosco back in 1991, and our most popular adventure in summer and winter, this trip takes you on a big loop of Milford Sound, meaning you get to take in all the highlights! 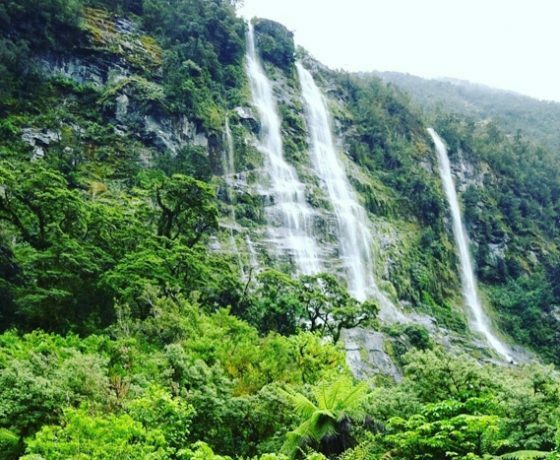 With opportunities to spot wildlife and photograph waterfalls, this is an adventure not to be missed. 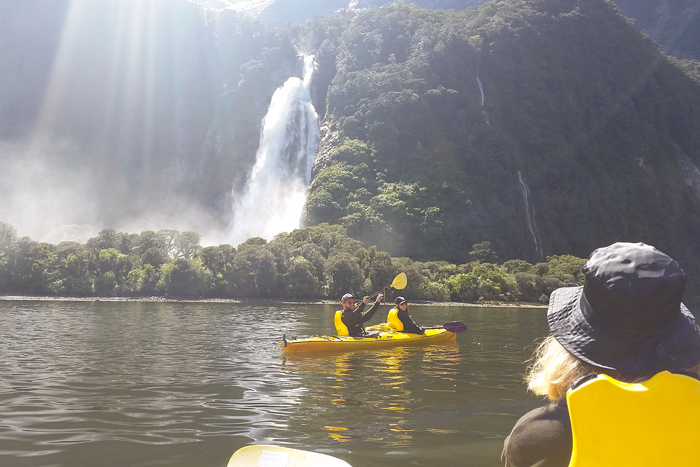 Join us on a spectacular paddle, suitable for everyone. 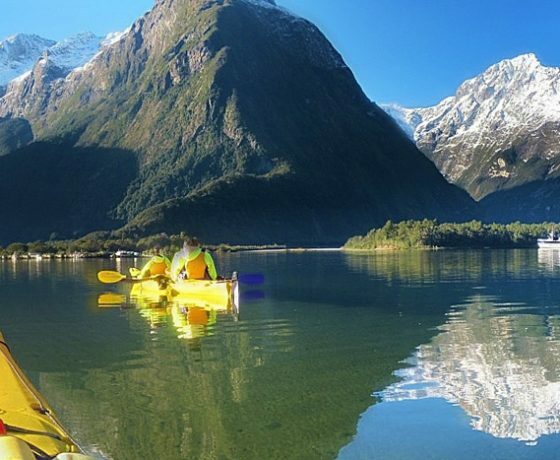 You relish the chance to explore the fiord by kayak. You are happy to spend up to 3.5 hours paddling. You are happy not going the length of the fiord to the sea. You have reasonable levels of water confidence and physical fitness. This is a combo offer and merges the Sunriser Classic with a fully guided return road trip from Te Anau. 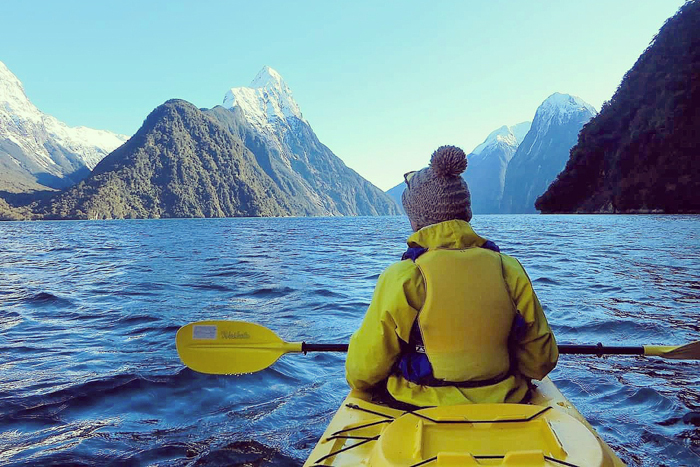 Experience the sights of New Zealand’s most popular alpine road on your way to your kayaking adventure at Milford Sound. 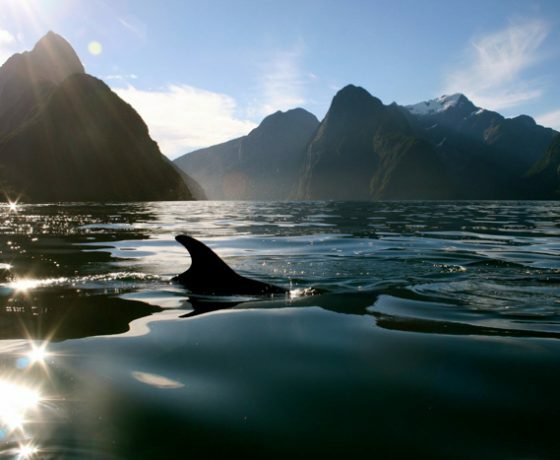 One of the most awesome and often overlooked features of Milford Sound is the journey to get here. 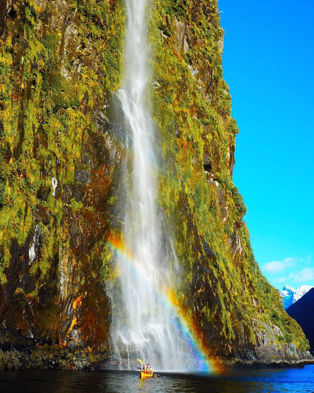 The Milford road passes through some of New Zealand’s most stunning and unspoiled mountain scenery. 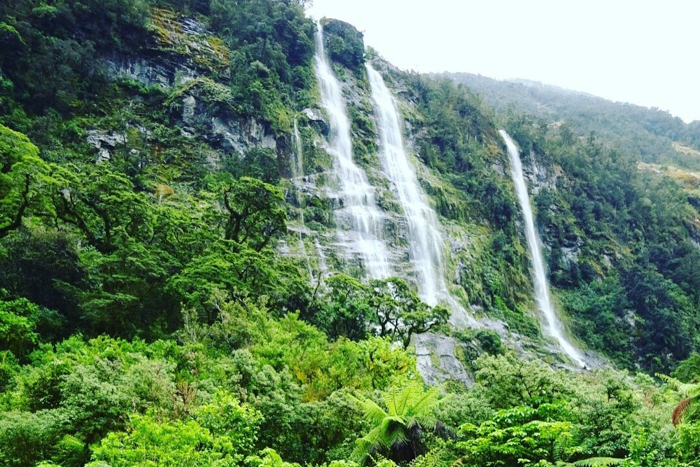 Start your day with a scenic minibus journey along the magnificent Milford Road with our guide showing you the best spots, while you sit back and relax. We’ll even pick you up from your accommodation! You’d like to sit back & enjoy the views while someone does the driving for you. 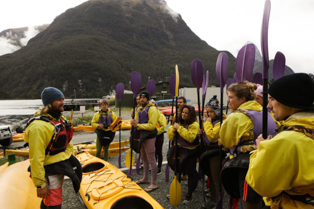 You’re excited to paddle the fiord but don’t want to miss anything on the way! Two iconic trips in one. 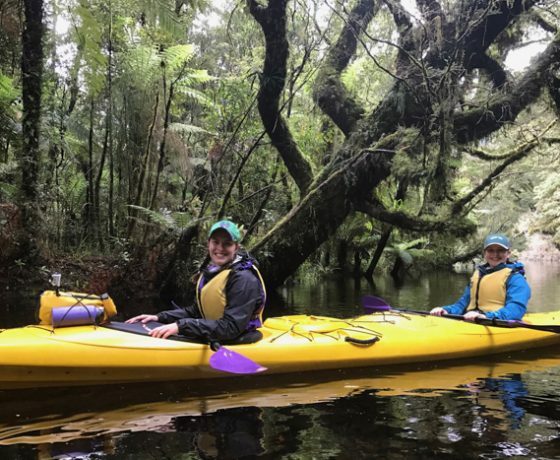 Start with a scenic paddle to Sandfly Point before enjoying a section of one of the finest walks in the world – the famous Milford Track – without the crowds. 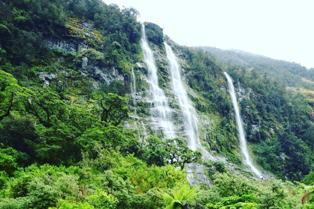 During a gentle walk with beautiful views at every turn, our guide will show you the best spots to pause, take pictures and listen to stories about the unique trail, its thriving nature and the magnificent part of New Zealand it calls home. Note: This trip does not go out into the fiord. 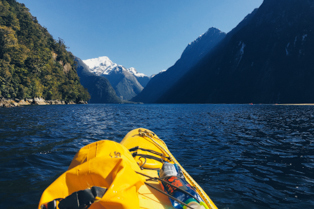 If you would rather spend more time on the water and paddle the fiord, might the Milford Cruiser suit you better? You’re a beginner kayaker who doesn’t want to paddle too far. 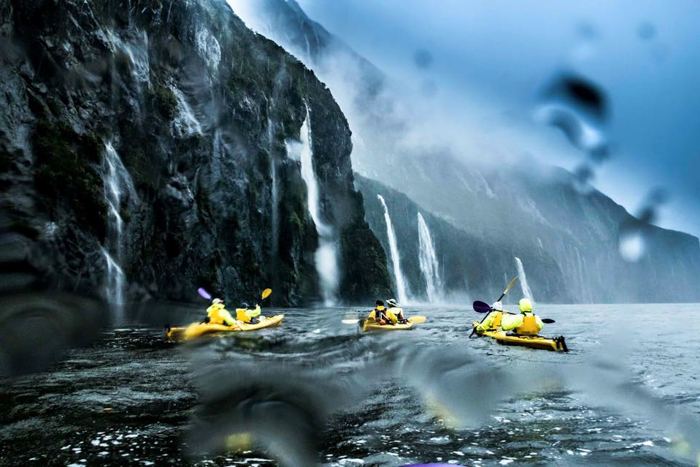 You would rather not paddle out into the fiord. You want to enjoy a remote, scenic walk. You love peace & quiet and being off the beaten track! 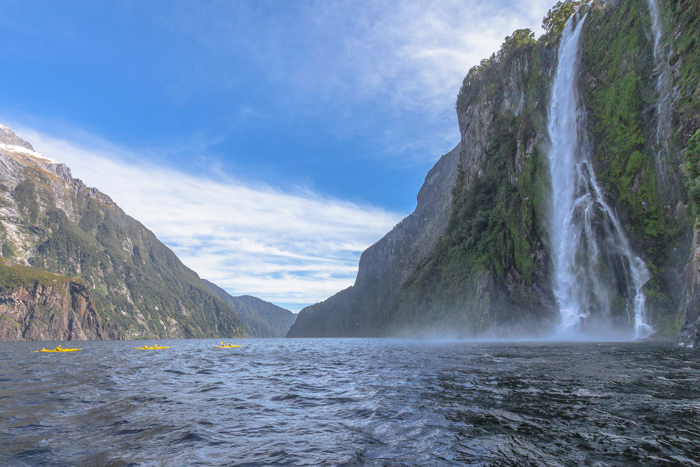 As part of a small group (seven people), you will enjoy an intimate, relaxed trip by water taxi to just beyond Stirling Falls (151m). 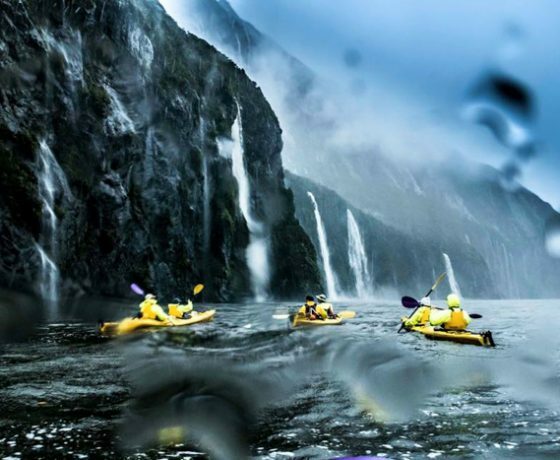 On your kayak, you will have the chance to get up close to the waterfall, and even partway under it, if you’re brave enough! This exhilarating trip is a very popular option and is fun for all. 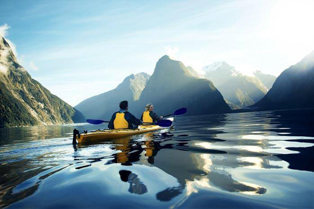 You are happy to kayak for up to 4 hours in potentially turbulent waters. You have high levels of water confidence & physical fitness. You love chasing watersfalls and aren’t afraid to get wet! EXPECT: WIND & WAVES. PRIOR KAYAK EXPERIENCE IS A MUST FOR THIS TRIP. The Morning Glory is Rosco’s premium kayaking experience. With a small group limit (seven people); you can experience your beautiful surroundings in a more intimate setting. With an early start to avoid the worst of the day breeze (which develops later in the morning), the Morning Glory is a beautiful way to begin the day. 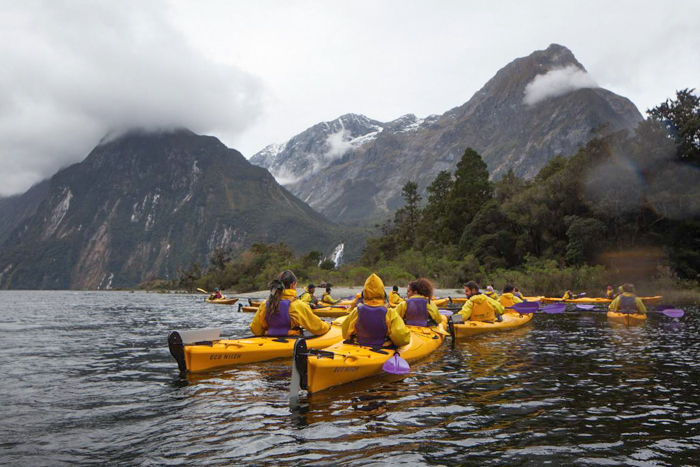 Taking in the full length of the Sound, you paddle to the entrance of the fiord, weather permitting, and return via our water taxi. 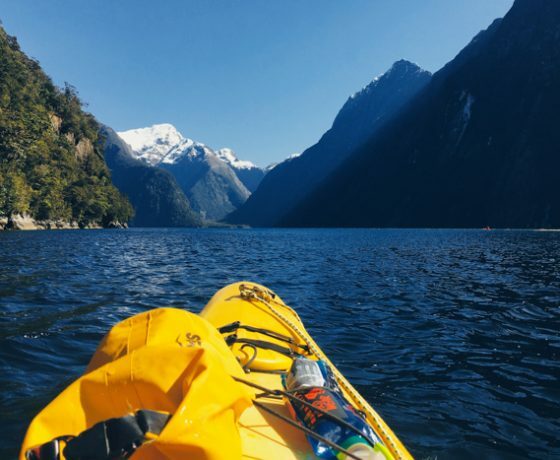 Spending longer on the water and travelling further than most of the kayak trips you can select, this is a fast-paced expedition taking in all of spectacular sights Milford has to offer. you will get to relax in the water taxi on your way back. 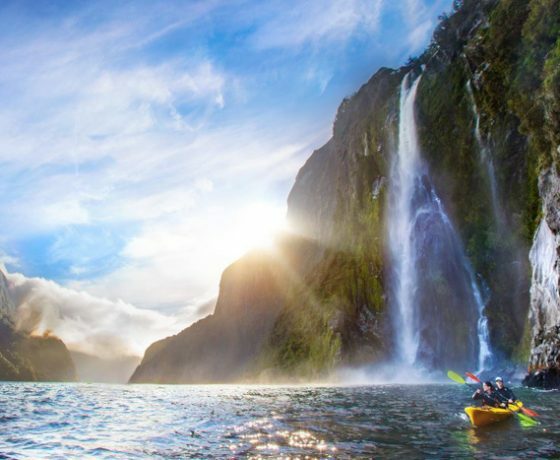 This tour requires some paddling experience and a good level of fitness, as you may encounter waves and sea breeze. You like the peace & quiet of an early start with plenty of photo opportunities. 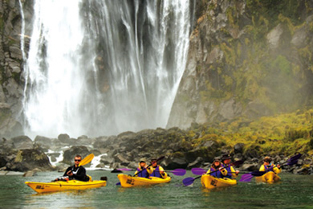 You are happy to kayak for over 4 hours in potentially turbulent waters. You love playing in the wind & waves and aren’t afraid to get wet! 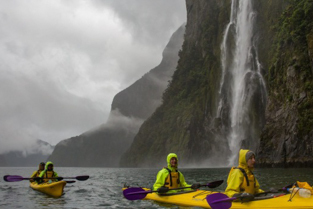 For the more adventurous kayakers, this experience takes your small group (seven people max.) along the same route as the Stirling Sunriser, but the afternoon breeze adds a bit of choppiness to the water. Most days allow for sailing and kayak surfing, giving an exciting edge to your journey; but the highlight of the trip is witnessing the gorgeous twilight views as you complete the journey, by floating in to Deepwater Basin – simply amazing! 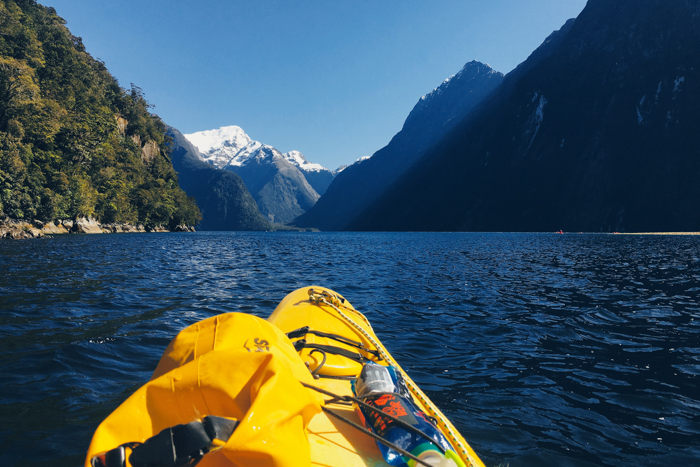 For the experienced adventurer willing to take on a challenging paddle. 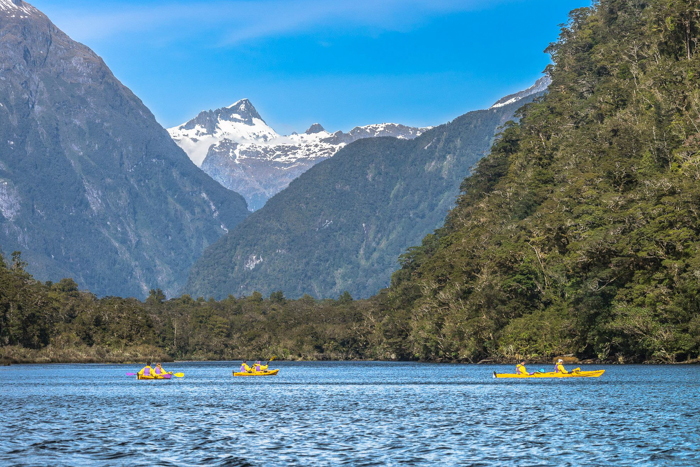 Take our water taxi to the entrance of Milford and savour the excitement of the kayak back home through wind, waves and gorgeous scenery along the length of the Sound. Afternoon trips are prone to wind, waves, and more turbulent sea conditions than you’ll find in the morning, but the rewards are worth it! You have prior experience paddling in challenging sea conditions. Bring: a camera with a fresh set of batteries & plenty of film/memory (we supply a dry bag for it), lunch & snack food, sunscreen, lip balm, sunglasses, insect repellent, shorts, soft shoes, warm fleece or wool hat, a spare pair of warm socks, rain jacket, towel, a change of clothes & finally a bag to keep everything in and personal medication.